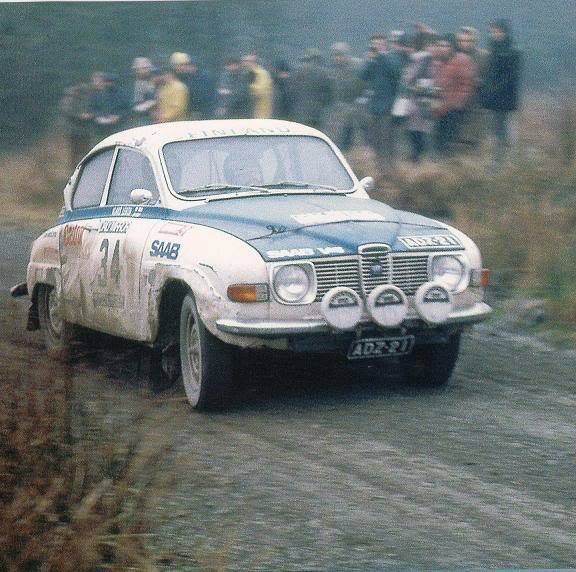 Racing class : Rally Team : Saab Works Finland Model year : 1972 Model : Saab 96 V4 Drivers : SEPPO UTRIAINEN, SIMO LAMPINEN Registration : ADZ-21 Engine : 1740cc, 2 x Weber DCOE, single exhaust Power output : about 140hp Transmission : Special 2 gearset, steelhousing, LSD Special / Notable : Simo´s car when he joined bluewhite team after two years Lancia period 1970-1971. The car has crashed late 70´s and the car doesn´t exceed anymore. Saab 96 ADZ-21. RAC ’72 tai ’71, Utriainen- Lehto?